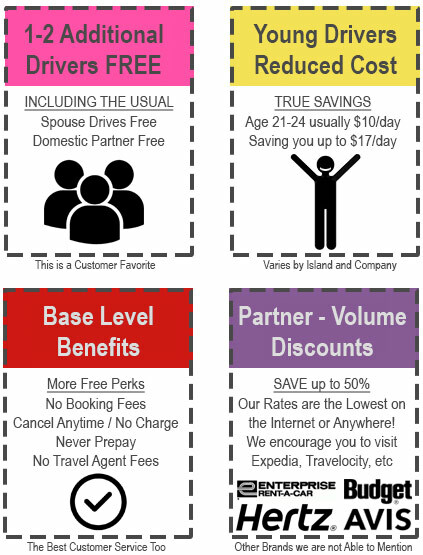 Car rental in Hawaii is quicker and cost less than ever before! Read below to learn more about adding additional drivers for your rental vehicle. You must be 21 or older when you pickup. Some companies have a higher minimum age; 25 or older. Others charge a daily young Driver fee of $20-$27/day plus taxes. We have negotiated a discounted young driver fee of $10/day; saving you up to $17/day. The only limitation would be availability and/or location. • Our Exlusive Digital Coupons are applied as you search our inventory of car rentals on this page.